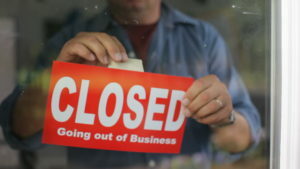 Whether you’re going out of business or just upgrading, you’ll probably need commercial appliance removal. This is one of the top options because it simply takes all the work off your hands. Plus, you can put your focus on what’s most important. If you aren’t upgrading to new commercial appliances, then you’ll definitely have your work cut out for you. This is because commercial appliance disposal isn’t the easiest thing to do. These are big and bulky, with plenty of wear and tear. However, you don’t have to resort to despair, there are things you can do. To make the whole process go smoothly, you should consider just calling in a junk hauling service. This way, you won’t have to deal with as much labor intensive work. Sell it yourself. Typically, when a business closes, it gives over many of its fixtures and more to a broker. But, you might want to try selling it on your own, directly to another company. Look for any local businesses that are about to open to see if they are interested. Use a third-party auction. The majority of business owners choose to go with a wholesaler. This is another way to get them off your hands quickly and put a little money in your pocket. List it with a local consigner. You can also opt to consign it. If that isn’t really an option, there’s always another route to take. You can try to bundle it to sell it all quickly on your own. But, you might just have better luck going with a third-party business broker or wholesaler so they handle all the details. When you need commercial appliance removal and disposal, just go ahead and phone 800-433-1094 or visit Junk Garbage Removal.